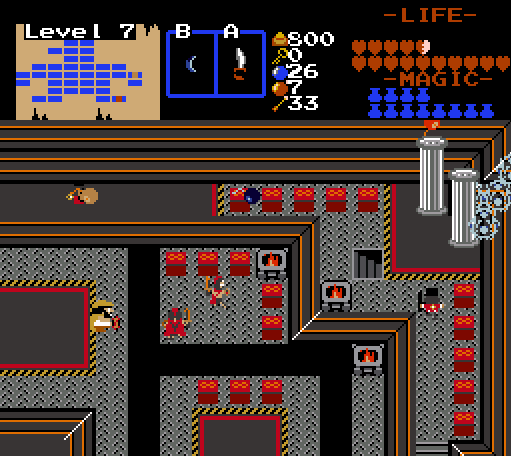 Prometheus meets Spartans and Wind-Up Nutcrackers in Level 7, The Penguin. 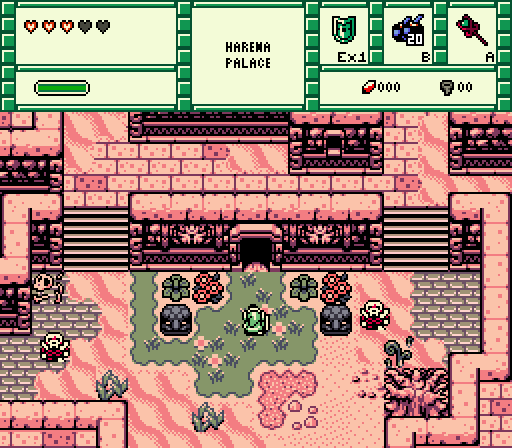 Harena Palace, a stronghold abandoned eons by the desert people. What exactly lies in here, and how is it connected to the castle in Skkyna Heights? 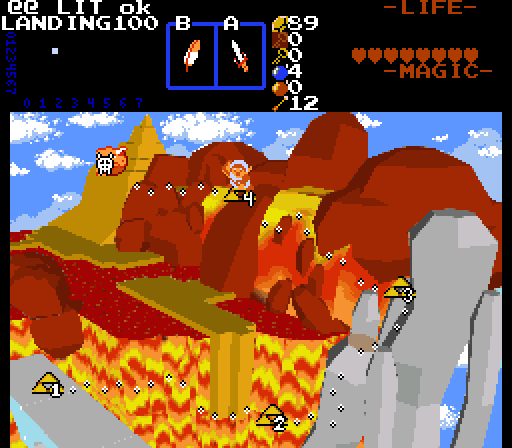 Because pre-rendered level select maps are all the rage. Amazing week as usual. Voted for DImentio, I really wanna play this screen/cave! Edited by Jared, 13 May 2018 - 11:24 PM. Shoshon - Looking pretty nice. I like the factory theme you're going for and the design is pretty interesting. Nice work! Demonlink - Those custom walls are looking really good, though I feel like they would fit better with Firebird rather than GB, but nonetheless this is a really great shot overall. Definitely love what you got going here. Anthus - Is that a 3D interpretation of 1 Screen Massacre? You mad men That looks really neat as a level select screen though, nice work. 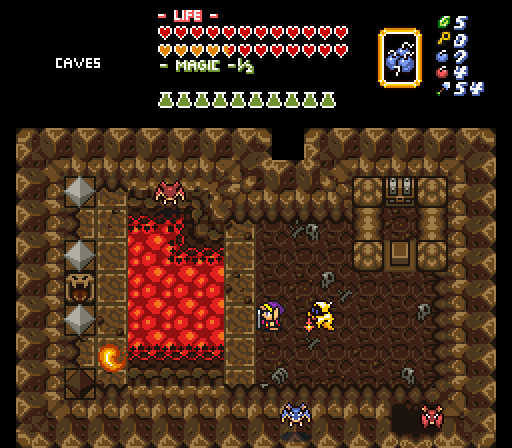 Dimentio - Pretty nice cave, I really like the boundaries between the lava and the walls, that's some nice details. Looks like a mirror shield puzzle to me as well. Pretty tough choice this week, but I'll go for Demonlink. I like the color palette and metal floor print you've got going. I initially skipped over this because it's an overload of pink. However, the building structure is really detailed and well thought out. Love the architecture! Voted. Really digging the DKC vibes. Those ACM pre-rendered graphics tho. Almost voted. Nice depth effect with the lava underneath. I'm just not a fan of the tileset. Edited by Cukeman, 14 May 2018 - 04:38 AM. With 55.56% of the vote, the winner of Screenshot of the Week 661 is Demonlink!